With more than 10 years of research experience in the field of plant protection, I got a degree in Environmental and Evolutionary Biology at Università degli Studi di Bari Aldo Moro, the same place where I earned a post-degree master technical specialization in phytopathological diagnostics and a Ph.D. title in Crop Protection. In the course of time, my main research interest has been the biological and molecular characterization of viral agents infecting woody plants, mainly grapevine, but also stone-fruits, pome-fruits, olive, persimmon, mulberry and some ornamental shrubs. I’ve contributed to the development of molecular and biotechnological methods for detection, genomic characterization, analysis of genetic diversity and taxonomical or phylogenetic relationships of species belonging to several viral families (Betaflexiviridae, Partitiviridae, Caulimoviridae, Bromoviridae, etc.). Recently I’ve given my support to the optimization of smallRNA and mRNA library preparation for high-throughput Illumina sequencing, and bioinformatic analysis of output data, therefore discovering viral agents yet unidentified, focusing my interest on their genomic features. 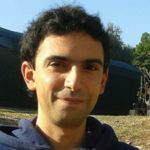 In 2013 I got a fellowship, in the frame of CISIA Project, at CNR-ISPA, where I joined the research team projecting the database and web platform biogenres.cnr.it, a network clustering Italian animal, plant and microbial genetic resources. In this context, I conceived, as redactor and designer, the scientific magazine “Biodiversity success stories“. I’ve collaborated on the Re.Ge.Vi.P. project, aiming at safeguard and recovery of Apulian autochthonous grape germplasm. Currently, I’m working on the application of advanced molecular diagnostic tools for detection, characterization and assessment of control strategies for Xylella fastidiosa CoDiRO strain.